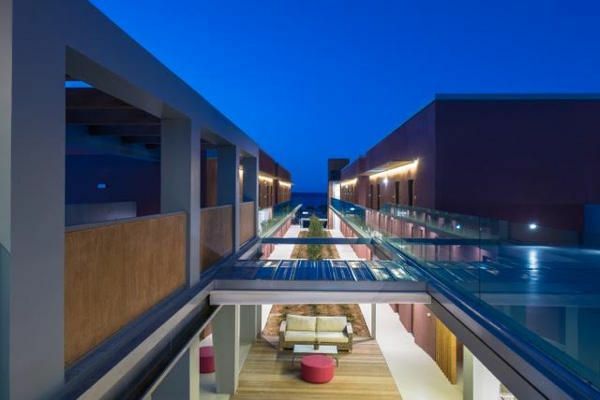 Your dream holiday in Crete. 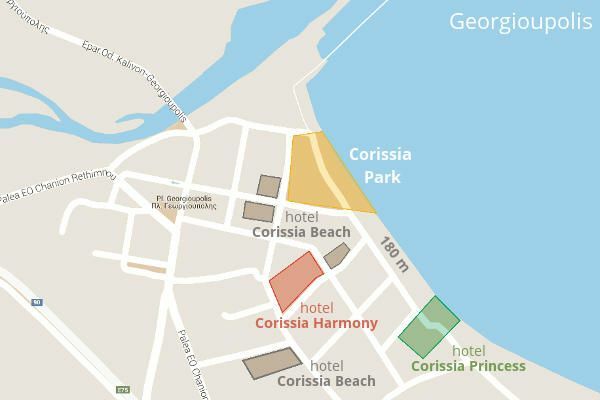 Your holiday begins in a Corissia Hotel... relax and enjoy THE CORISSIA EXPERIENCE. 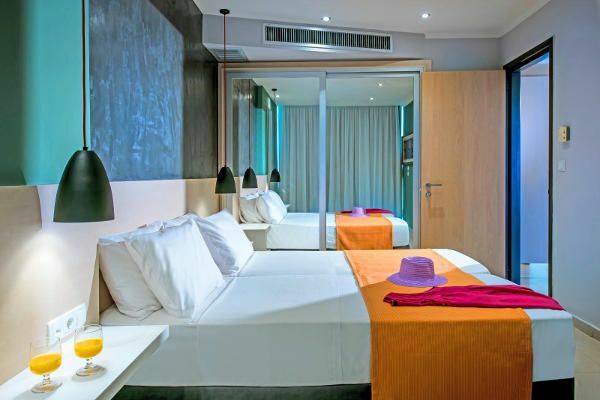 We are committed to your comfort and enjoyment from the first day of your holiday, through to your departure. 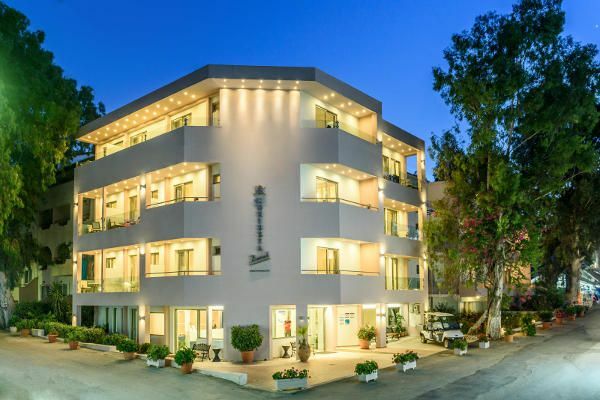 The Corissia resort consists of three beautiful hotels, located in and around the fishing village of Georgioupolis, on the north west corner of the stunning island of Crete. 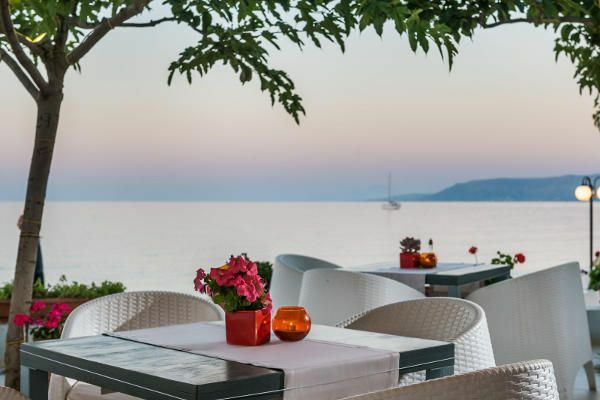 Each of our individually styled hotel complexes are located just a few steps away from the long sandy beach of Georgioupolis and the delightful Corissia Park. 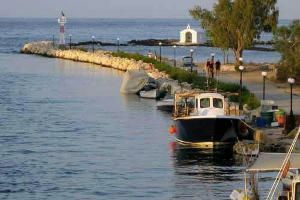 Yet you are only a very short stroll from the centre of this traditional fishing village and harbour. 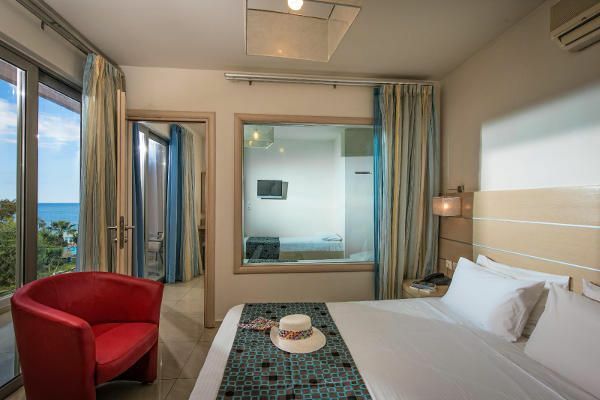 This combination makes our hotels the perfect choice for your unforgettable but relaxing holiday on Crete. 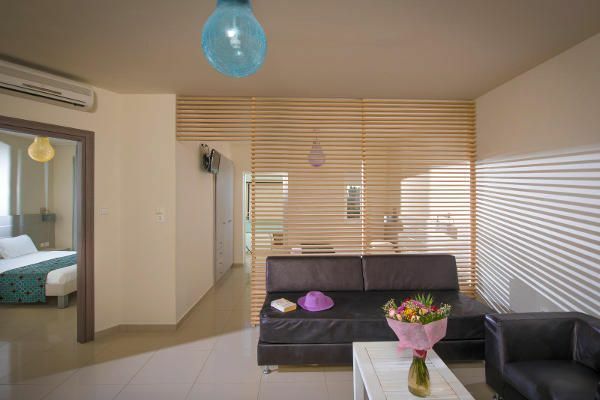 For families with two children, there are also four bedded rooms available. 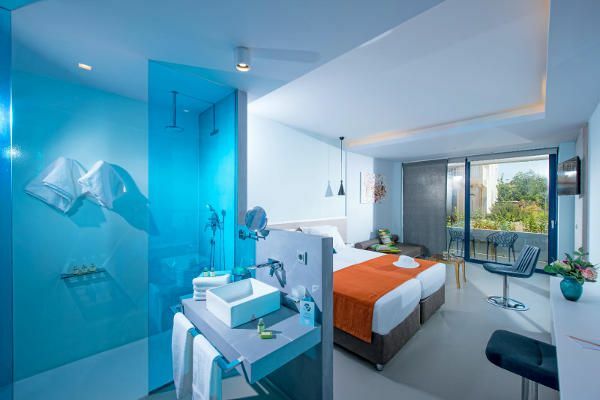 These include a double bed (with separate mattresses) and two single beds in two separated rooms with a connecting door. 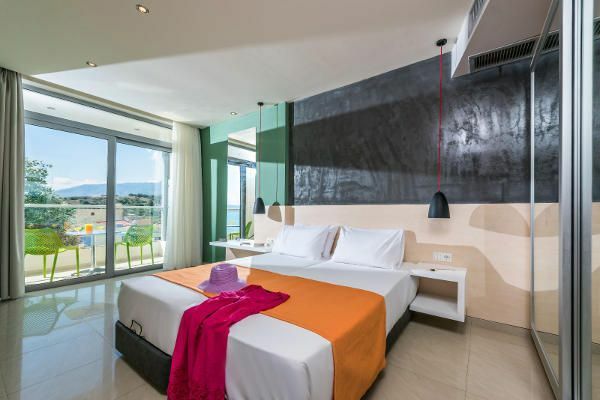 Our quadruple rooms have a very large balcony with beautiful views of the sea. 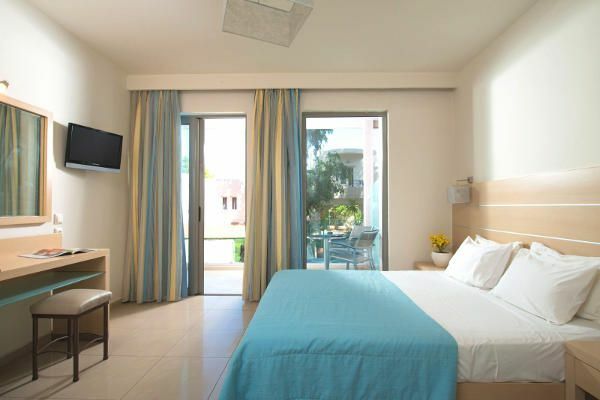 The hotel is located only a few meters away from the wonderful sandy beach of Georgioupolis. 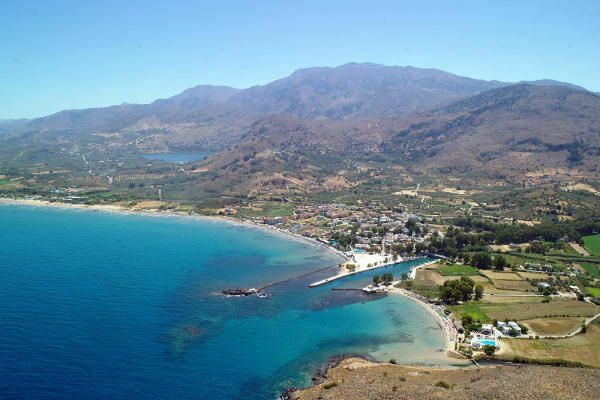 Georgioupolis nestles in the Gulf Georgioupolis, which boasts one of the longest sandy beaches on Crete. It is a traditional fishing village that combines the traditional with the modern. The landscape around the village is breathtaking and ideal for those who enjoy walking, cycling and hiking. The river valley is banked by huge eucalyptus trees, whilst in the distance the White Mountains stand guard, a truly awe inspiring sight. 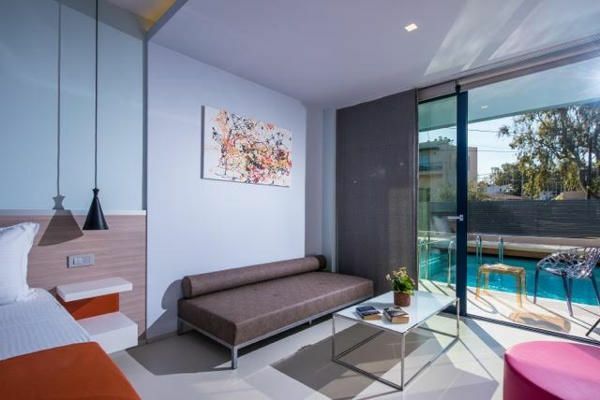 Only a short drive, or bus ride, away are the bustling towns of Chania and Rethymno. 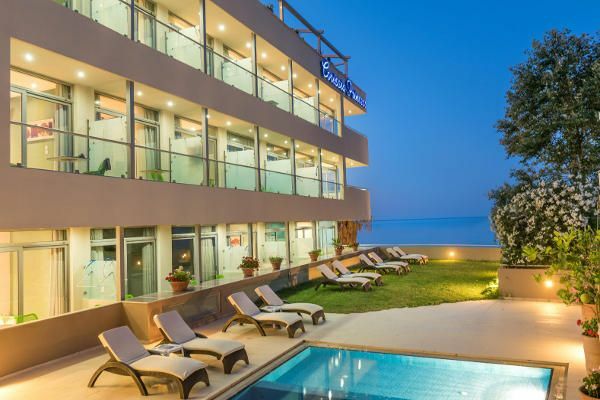 In short we are ideally placed for what ever you want from your holiday in Crete. The Cretans pride themselves on their hospitality and kindness. In the village you will find a wide range of shops, restaurants and bars, plus cafes, and supermarkets. Life can be busy in the pretty village square, locals going about their daily business, but taking time to stop drink a coffee, enjoy a raki, the local “hooch”, or Ouzo. Take time to explore the village and enjoy the Cretan "laid back" way of life…you are on holiday! 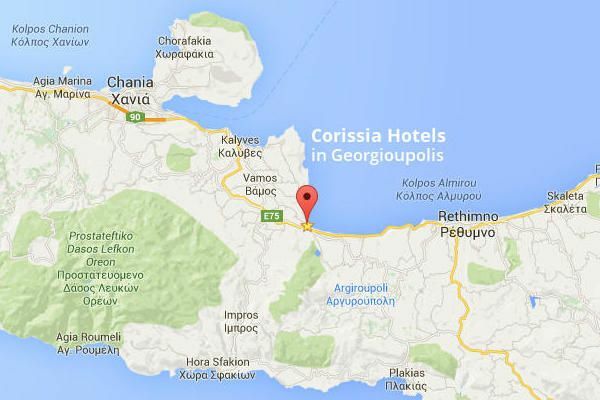 Georgioupolis is located between mountains, sea, and rivers. 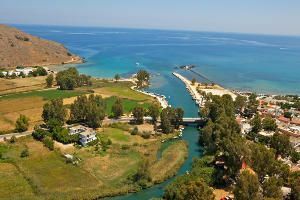 Nearby is the beautiful Lake Kournas, famed for its crystal clear waters, and the home of many turtles. Kournas Lake is unique to the island and only a short distance by car or land train. Despite the growth of tourism in the area nature has been left to flourish. Near to Lake Kournas is a nature reserve, surrounded by lush vegetation and rare aquatic trees. 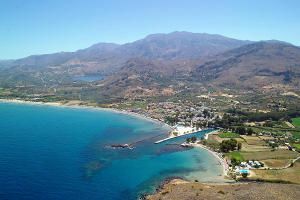 In addition Georgioupolis can boast a soft sandy beach some 10 kilometres long, which is also one of the cleanest beaches on the island. We are at your service with our team of professional, experienced and enthusiastic staff.